Easy to operate lever operated quarter turn ball valves. This picture shows how a lever ball valve is constructed. It's called a ballvalve because there is a ball inside it ! Lever valve with 1/2 inch BSP female threaded connections at each end. Lever valve with 1/4 inch BSP threaded connections at each end. Lever valve with 1 inch female BSP threaded connections at each end. 10mm lever operated isolator valve. Suitable for gas or water. Compression pipe connections at each end. 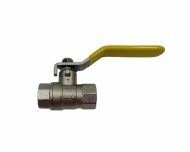 Compression 15mm tee with isolating lever ball valve on the branch. Large bore / full flow (suitable for water only). 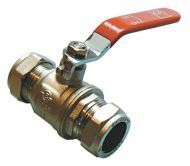 WRAS approved lever 15mm isolating ball valve with red handle. 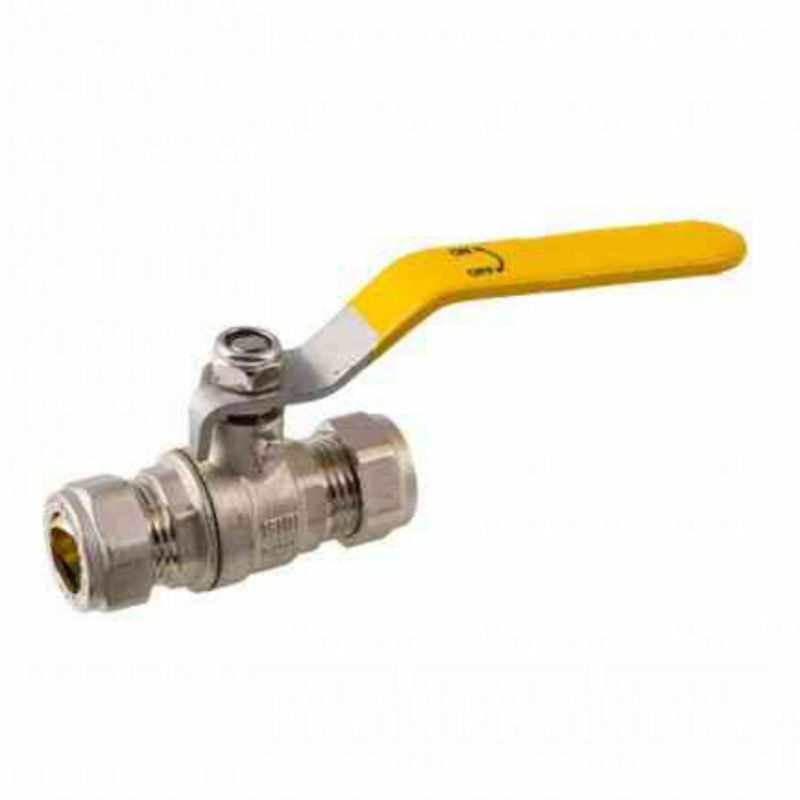 Yellow lever 15mm isolating ball valve. Suitable for gas. Compression connections for 15mm pipe on both ends. Quarter turn isolating valve with small lever handle. 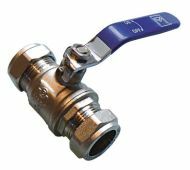 15mm compression fittings at each end, to suit copper or plastic pipe. 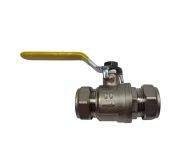 Lever operated 22mm isolating ball valve. Suitable for gas or water. Compression fittings at each end. 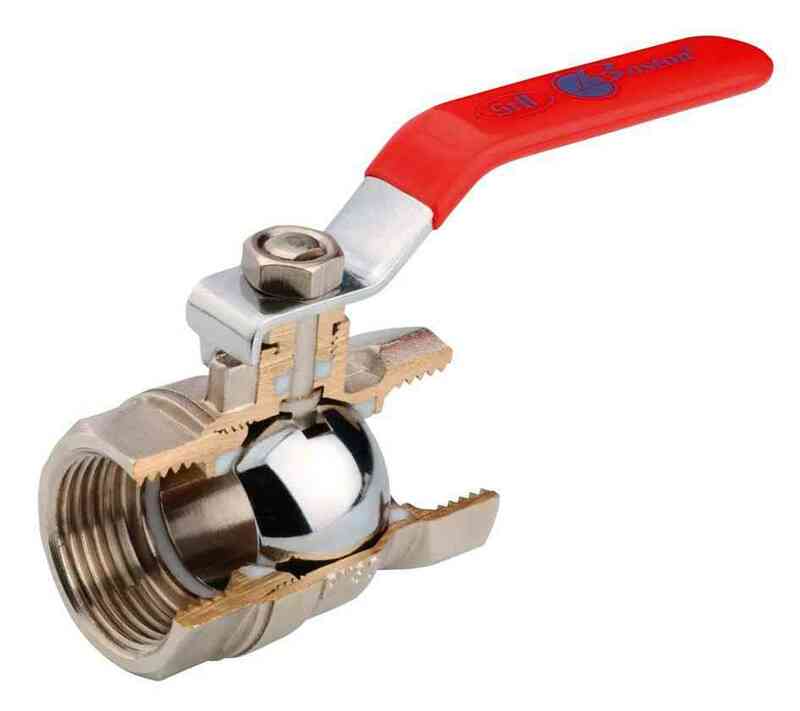 Lever operated 28mm isolating ball valve. Suitable for gas or water. Compression fittings at each end. Lever valve with 3/4 inch BSP female threaded connections at each end. Lever valve with 3/8 inch BSP threaded connections at each end. 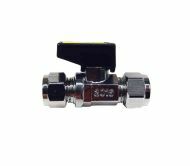 8mm mini lever ball isolating valve. Suitable for gas or water. Compression pipe connections at each end.